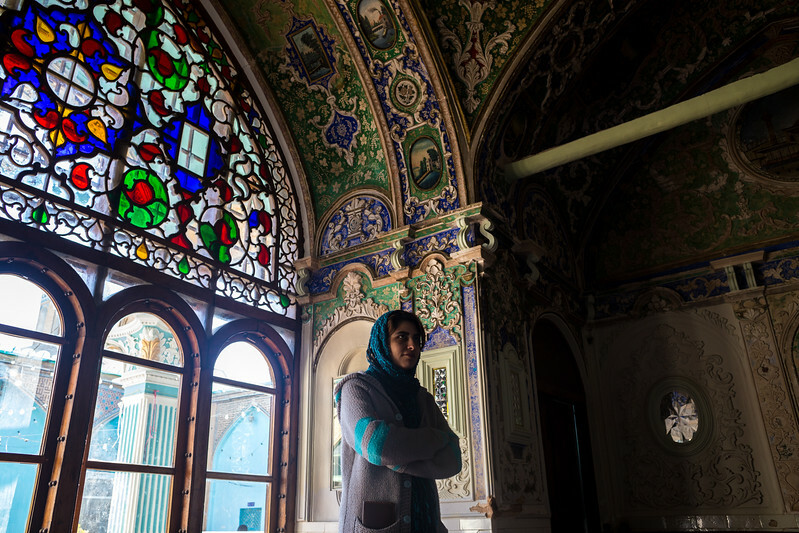 Iranian women have imposed constant challenges toward the sexual discrimination. A minor yet growing and nationally widespread part of it comes in the form of cooperative, comprised only by women as an intention to work under a fair condition, away from the male-dominant atmosphere. This cooperatives serve to empower the members and raise a solidarity between them. Azin, lives in Isfahan, a city famous for its art. She is a young talented artist who has been working in one of such cooperatives for a couple of years now. Prior to this she couldn’t linger more than a few months in any of the jobs she tried, but now, she does well and even aims at more ambitious plans. Her daily life which is entirely devoted to this, represents the regular challenges that millions of Iranian young women face when they want to take the responsibility of their own lives. Azin in an old and particular Khajar's style mosque with Qashqay roots.